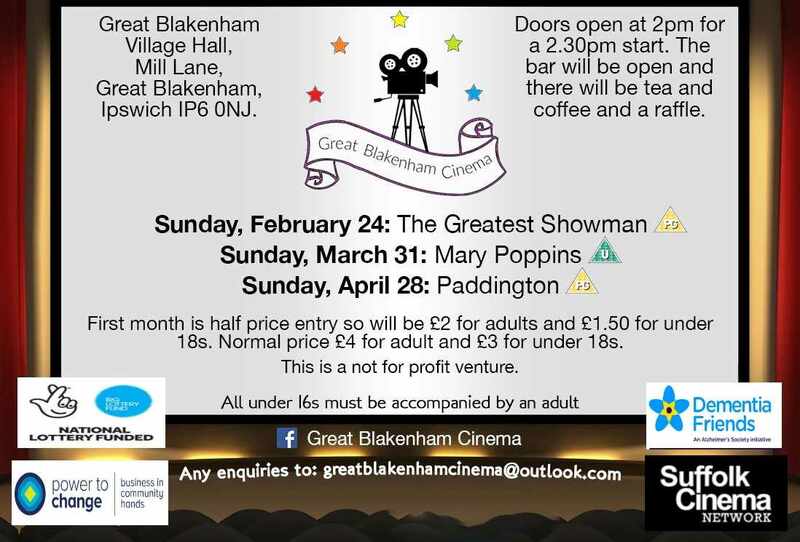 Doors open at 2pm ready for a 2.30pm showing of The Greatest Showman. Free tea and coffee courtesy of Co-op Cuppa on arrival. The bar will also be open to purchase refreshments from. We are aiming to make the showing dementia friendly. Funding has been provided by the National Lottery via Suffolk Cinema Network. Our volunteers are dementia friends. We will be holding a cake sale for the Alzhiemer's society to raise funds for this great charity.